GRiP Communications provide a Business VoIP System using technology from Cisco - well known for making the best phone systems. Our Cloud PBX is already up and running so you don't need any expensive equipment or software to get working. 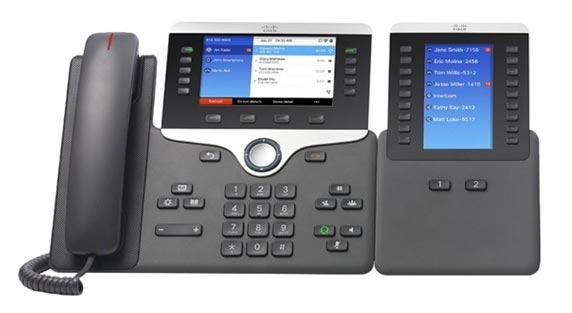 This means that you can now get a small business phone system with all the features that large organisations have been enjoying for many years. Just order the phones you need and plug them into The Internet. You can port your existing BT numbers or get new ones and work from anywhere. Our products include Cisco IP Handsets, VoIP Call Plans and Phone Numbers. Everything you need put together a complete Business Communications System and our guided order process helps you. Suitable for any type of organisation from Sole Trader to Multi-Site Business. All on one system, all with the same great features.